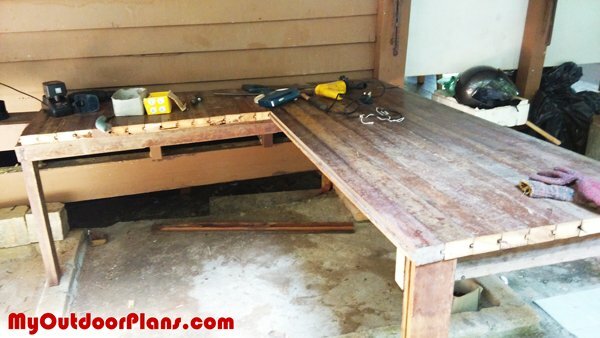 I’ve built an attached Workbench using your Garage Workbench Plans but I didn’t follow totally the plans. Due to the site condition I decided not to install lower selves. The L-shaped table measures 18″x45″ and 33″x66″. 2 x 4 legs and frames, 2×3 table top. 2.5″ screws used. Time taken 1/2 day. No cost. 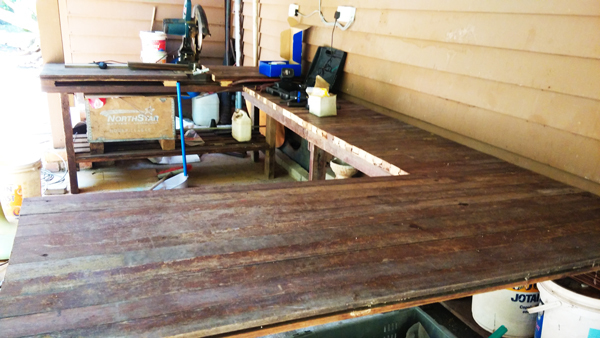 I also added another 40 inches to cut off saw table.